In this English lesson you will learn some of the main words and expressions that we use in English when we talk about honesty and sincerity. It is important to be honest and sincere with people. We also expect people to be honest and sincere with us. We expect the leaders in our community to be upstanding individuals that have high moral values. Personally, I like people to be truthful, frank and to the point. I don't like it when people beat around the bush. However, sometimes we need to be careful. Being too direct or forthright can also be a problem. Some people don't like hearing the truth, so take care with what you say and how you say it. I consider myself a law-abiding citizen. Maybe I am not 100% squeaky clean. I sometimes cross the street when the light is red . I expect politicians to be upright and scrupulous. We entrust them to run our societies. Politicians need to make sure that everything is above board. Government business dealings need to be bona fide and legal. We don't wants corrupt people running our town halls and local governments. If politicians do steal money or do something wrong, I expect them to level with us. They should come clean, admit they have done wrong and resign. Let's be honest, politicians have stolen from us in the past and they will no doubt do it again in the future. As long as they are on the level and try to keep on the straight and narrow I will be happy. In all truthfulness, I don't expect everyone to be as straight as a die. All I want is that the game is played fair and square. No cheating. And I mean that from the bottom of my heart! Want to study some another lesson? Click here. 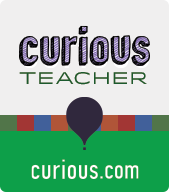 I also have interactive lessons available on curious.com. Check them out. If you liked this lesson, please consider buying me breakfast. I would appreciate it. But what’s the difference betwen honesty and sincerity ? .